Ridley Scott’s film Prometheus is perhaps the first to bring in specific references to the Annunaki, the ancient aliens who make their appearance in Sumerian tales dating back to 5,000BC. I’m particularly interested to see this story reaching a more mainstream audience, not least because it has specific relevance to the Tale of Tilly Greenway and the Secrets of the Ancient Keys. For those of you who do not know about the Annunaki, the first-known stories about them were written in cuneiform on clay tablets some 7,500 years ago. These tablets, of which there are many thousands, have been unearthed from the sands of Iraq, Iran and neighbouring areas. Whilst they range over a wide number of topics, from the creation of the world to the Flood, they all talk of a group of gods and goddesses, called the Annunaki, who visited the Earth some 250,000 years ago. But are the tales myth or do they refer to real events? Were these gods and goddesses figments of imagination, or were they in fact three-dimensional extra-terrestrials who landed on Earth a quarter of a million years ago? This is a debate that has raged quietly behind closed doors for a long time. Now it is being opened to a wider audience. I believe that there are many truths hidden under the label of “myth” or “legend”. So let’s take a look at the story of the Annuna-ki and see if we can find any evidence for them being more than simple flights of fancy. The Sumerian word Annunaki translates as “those who came to Earth from the sky/heavens”, the “ki” standing for Earth. In the Tilly Greenway tales, I call them simply The Anuna – “those who are from the sky” – because the tablets make it very clear that these early gods/space-travellers visited many other planets as well as our own. Early in the Prometheus film we hear about a “star map” that gives directions to the planet where the aliens in the movie come from. This star map is real. Artefacts bearing its design have been discovered on every major continent, all virtually identical. 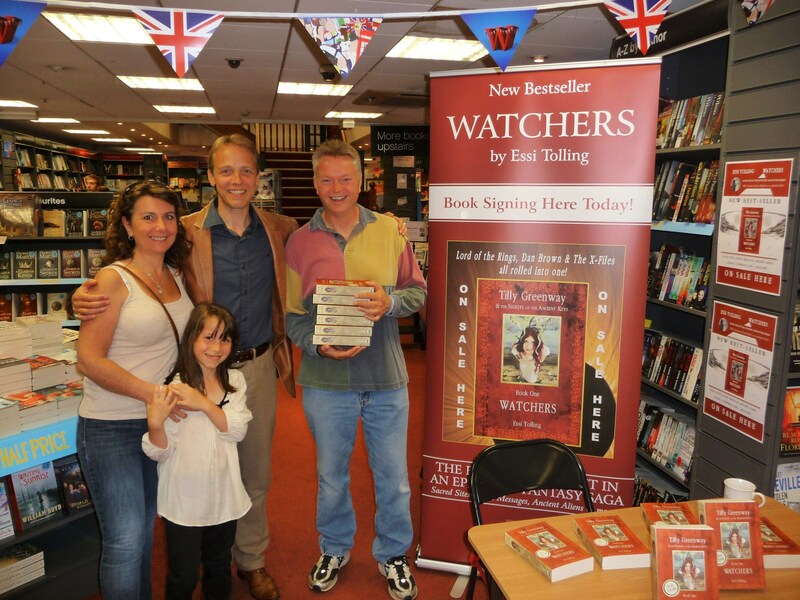 (In Watchers, it features very early on, in Tilly’s dream). This in itself is remarkable, bearing in mind there was not supposed to be much travel between places such as South America and Africa until relatively recently. How, and why, would separate civilizations create the very same story, with identical images, if there were not some unifying agent? The collective subconscious is powerful for sure, but something like this is too much to be dismissed as mere “coincidence”. Who were the Annunaki and what were they doing here? In Prometheus, the line of enquiry as to who the Annunaki were and what happened after they arrived on Earth is not answered (perhaps it will be in a second film?). In the Tilly Greenway tales (which are really a modern day rendering of the most widespread and oldest legends) I explore the idea in depth. In much the same way that myths contain hidden truths, the accepted version of history often conceals many lies. There’s a simple reason for this: victors always seek to wipe out any threat to their control by asserting their own supremacy. You could say that the accepted version of history is as much propaganda as it is a genuine record of events. It’s not surprising, then, that when conventional wisdom is challenged, those who walk the corridors of the Establishment do their best to laugh their challengers out of court. After all, they have a vested interest in maintaining their version of events, no matter how false they may be. Right now, most modern historians and archaeologists ridicule the idea of an alien race visiting Earth at any point in its history. Yet, as time passes and more and more discoveries are made (many of them, like Gobekli Tepi, forcing us to re-think our concepts of how far back the earliest civilizations go), some are beginning to stand against the tide, especially when it comes to the possibility of early civilizations being far more developed than we have thought. The Creation Myth – Fact or Fiction? With over 100,000 clay tablets covered in cuneiform, the Sumerian tales are too long to do more than touch on them in one blog post (we’ll revisit them in future) but the essential story is this: whilst here, the “ones who came to the Earth from the sky” (whether you choose to call them gods or extra-terrestrials is up to you) discovered a primitive hominid, presumably an ape of some kind. They then used advanced techniques to create a hybrid species, mixing their own DNA with that of the hominids to create a “worker” to mine gold for them. One fascinating point for me here is that the tablets speak specifically of a number of medical procedures that were carried out by Annunaki scientists that were thousands of years ahead of their time. My question here is: how would those who wrote the tablets even have known about transfusions, transplants and so on if they were not happening at that time? It was not an easy process. The tablets talk of many failed experiments in which the half-hominid, half-Annunaki “babies” were born with serious medical defects. Modern day genetic experiments have come across exactly the same issues, including the sterility of genetically-engineered hybrids – something that crops up in the Sumerian tales. It is only when the chief Annunaki scientists use surrogate mothers from the Annunaki females (rather than the hominid females) that they are able to produce offspring that can both survive and breed. According to the tablets, these offspring were the forerunners of homeo sapiens. In other words, thousands of clay tablets from one of the earliest known human civilisations, state quite clearly that our ancestors were all hybrids between a terrestrial and an extra-terrestrial race! Is this such a huge leap of faith? It would certainly explain the sudden and extreme advancement in our intellect that happened somewhere between 250,000 and 150,000 years ago, for which no one has yet come up with a good answer. It might also explain other mysteries, but that is something to leave for another time. Let’s just say that the potential for a cover-up is huge, which is why the Tilly Greenway saga is as much a conspiracy-story as a fantasy! Why would I, or anyone else, suggest that there might be more to these clay tablets than meets the eye (apart from the fact that it makes for an interesting background to a novel!)? One reason is the extraordinary similarity between the Sumerian myths and those told elsewhere. Another is the unmistakable correlation between aspects of the Sumerian tales and passages that are contained within the Bible, where the very same story of the creation of mankind is told, except that the Anunnaki have been replaced by certain aspects of Yahweh. The parallels are striking. 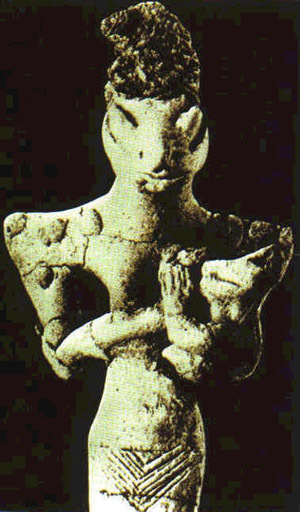 In the Sumerian stories, the first male hybrid created by the Annunaki is called the Adamu. He and his female partner are kept in a place called The Edin. They gain knowledge which displeases some of the Annunaki hierarchy and they are removed from The Edin to fend for themselves. Bear in mind that the Sumerian tablets pre-date the Bible scrolls by several thousand years. Is it possible, therefore, that they had no influence at all upon the scribes of the most-read “book” in the world? For me, the “coincidences” are too great to ignore. And it doesn’t stop there. 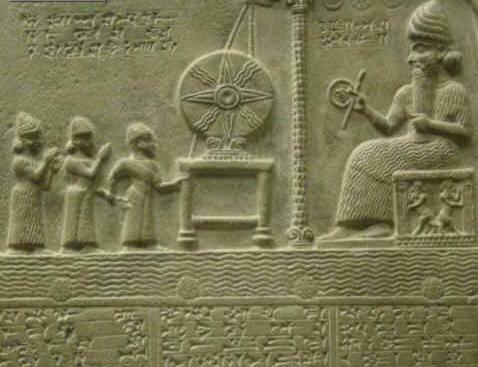 The Sumerian tales talk of the Annunaki being much taller than humans. Are there references in the Bible to giant creatures? Yes there are. Do the giants in the Bible interbreed with the indigenous population? Yes they (or their offspring, or the “sons of God”) do. Here are some of them (my italics). 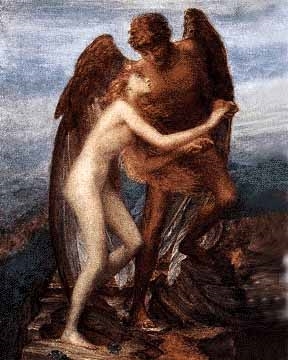 Of course, the references to the Nephilim and the sons of God are not clear cut. Are they the same, or different? There is certainly nothing explicit here about aliens from outer-space! But whoever they were, they were clearly giants. I’ll revisit this topic of the role of giants in our history another time, especially the references to the “Watchers” or Fallen Angels which come into a number of the scrolls that were edited-out of the Bible some 1600 years ago (if you are interested, have a look at the Book of Enoch, Ethiopian text). To finish-up for today, I’ll just float another interesting point out there. The Sumerian tablets say that the creation of the Adamu and other hybrids took place in what we call South Africa. This is the very location that the mitochondrial DNA of the first human female, to whom we are ALL related, is now known to have originated. 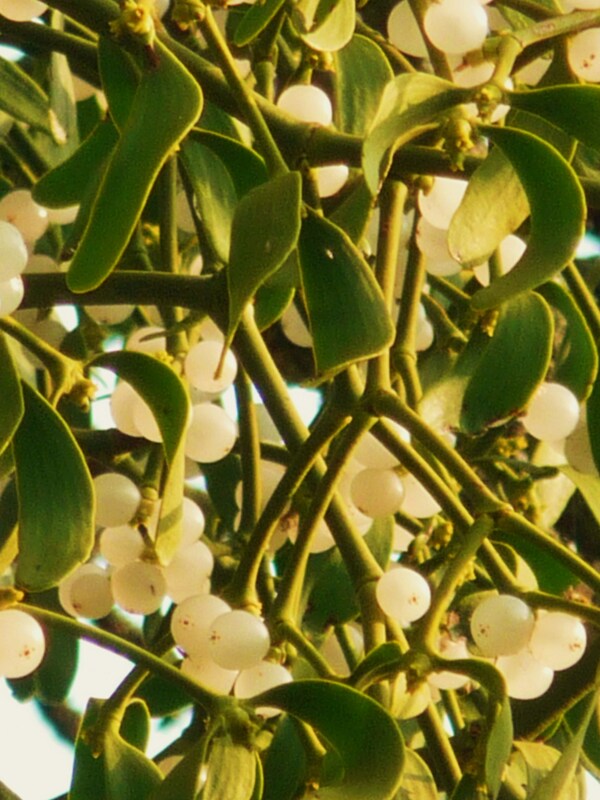 We have only recently discovered this, thanks to the advance in our understanding of genetics. Whether myth or truth, the whole rigmarole of the “ancient aliens who visited Earth” makes for an exciting back-history to the plot of a series of books, which is why they form the backbone to the Tale of Tilly Greenway and the Secrets of the Ancient Keys, a work of fiction in which I delve deep into our past from a very contemporary setting. 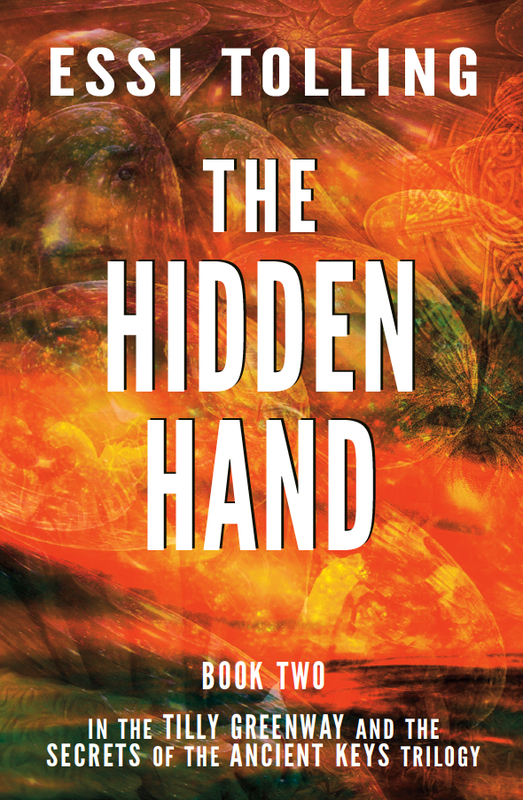 The story draws on much documented history and my study of different myths and legends from all over the world, but essentially it is still a story, a new rendering of some of the oldest-known creation-myths of all, rather than an allegory. What I can promise you, however, is that my research has taken me to some very interesting frontiers, beyond any of those that are currently circulated in public. As such, the series will not draw its head back into a shell, as Dan Brown’s Lost Symbol did. There are some eyebrow-raising revelations to come. You can certainly expect plenty of dark intrigue and deeds of evil as the series progresses, as well as riddles and prophecies both old and new. Then again you can expect plenty of good old-fashioned adventure, with mythical and magical creatures too! That’s the fun of blending fact and fiction. At the end of the day, it’s just a story. A bit like life, really. 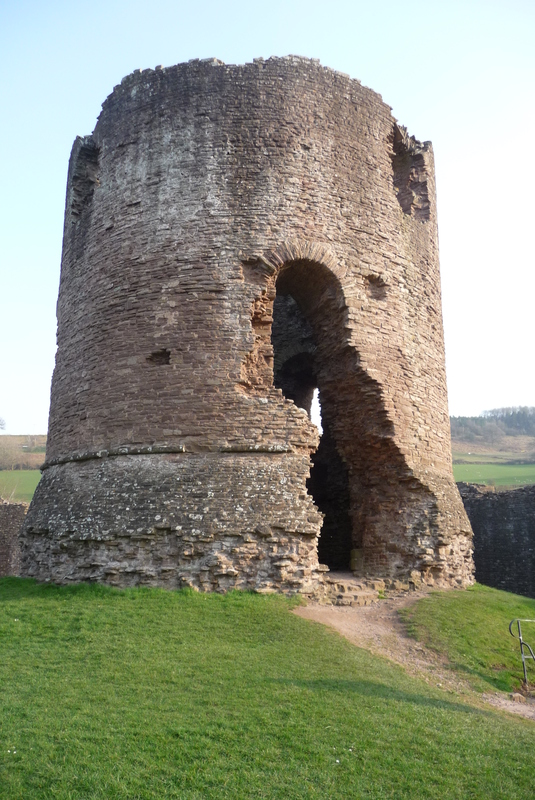 A trip to Skenfrith Castle! 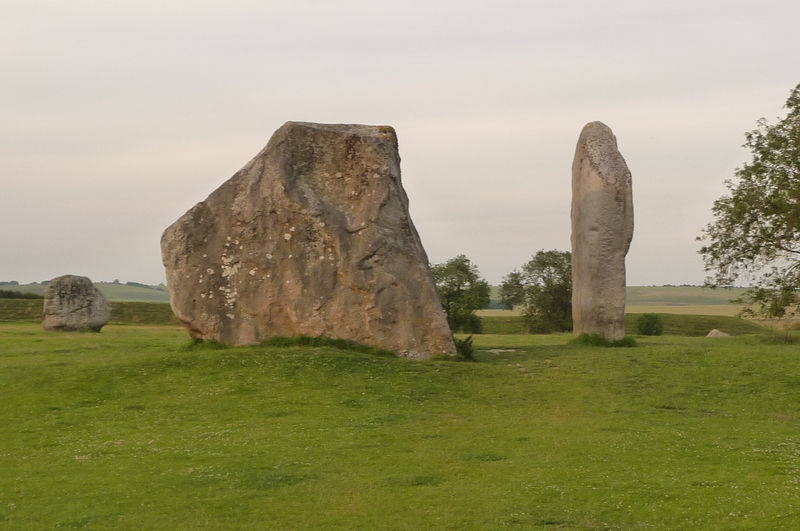 In my last post I talked about how I mix fact and fiction in the Tilly Greenway books and how much I love going to the various “sacred sites” and places of historic interest that pop up in our tale. There’s so much to see and learn in any country, but England, Wales and Ireland certainly have their share of wonderful places to visit. It’s often easy to overlook what’s right under our noses – to take for granted things that others will travel hundreds or thousands of miles to see. 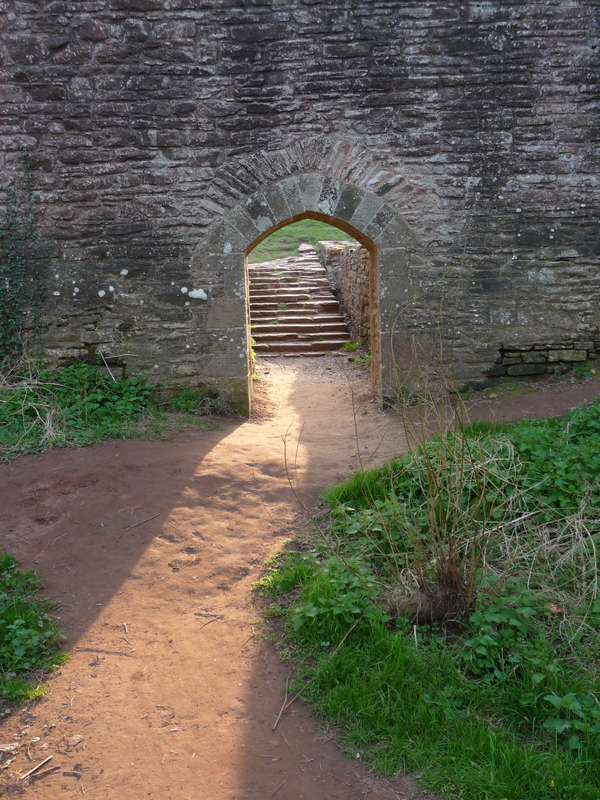 With this in mind, I took the wiggly route on my way back from a recent book-signing at Hereford Waterstones so that I could spend some time in one of the most important places that Tilly and Zack visit during book one: Skenfrith Castle. Sitting on the border between Wales and England, this is one of many castles built by the Normans during the eleventh and twelfth centuries to mark out the territory between what was under easy rule and the dangerous lands where the Celts lived! Take a drive along the border and you’ll see them, one after the other: Chepstow, Monmouth, Gooderich, Skenfrith, Grosmont, White Castle, Raglan etc. 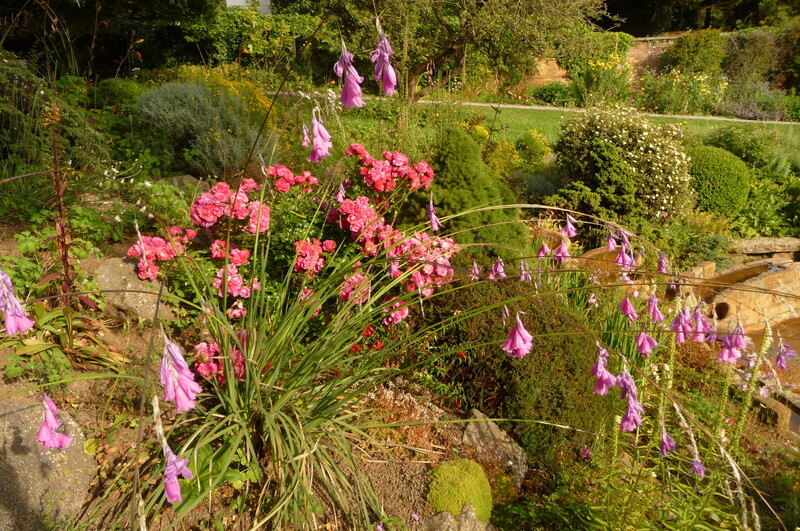 Of all these, Skenfrith is perhaps my favourite. With its huge round tower and crumbling outer walls, it has a brooding, stark quality to it and this, combined with the fact that there are rarely many if any people there, makes it the perfect place for Tilly and Zack to set out from on their quest! Thanks to Oliver Cromwell’s thugs, many castles (and churches) have been destroyed. Cromwell believed that he would quash the supporters of the Crown by dismantling their strongholds and seizing their land. He was wrong. His Republic lasted only eight years before the rightful Stuart King was back on the throne. Skenfrith Castle has stood the test of time in pretty good shape. 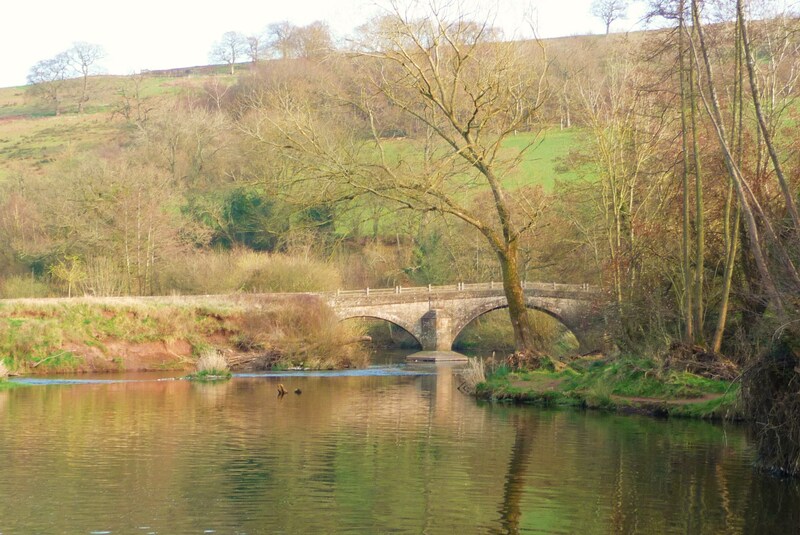 Sitting on a meander of the River Monnow it is no more than a simple outer wall surrounding a round keep tower, although the walls are several feet thick! 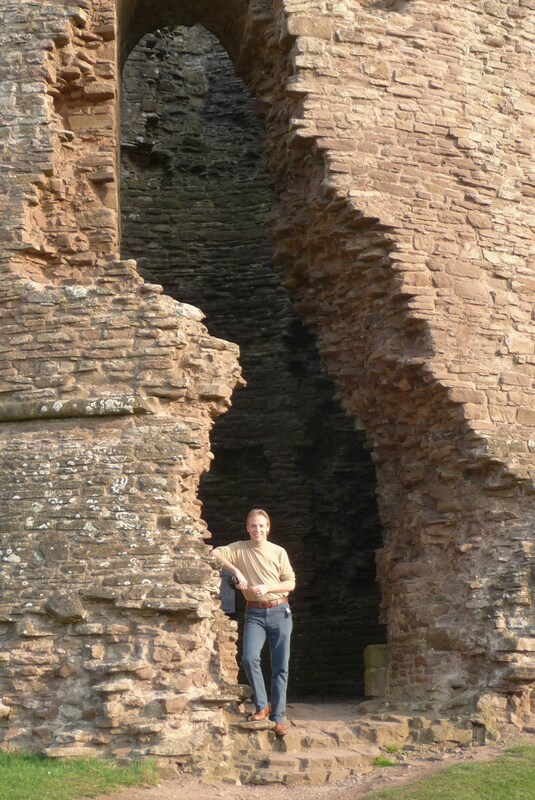 To give you a sense of perspective, here I am standing in the broken archway. "I'm the king of the castle!" 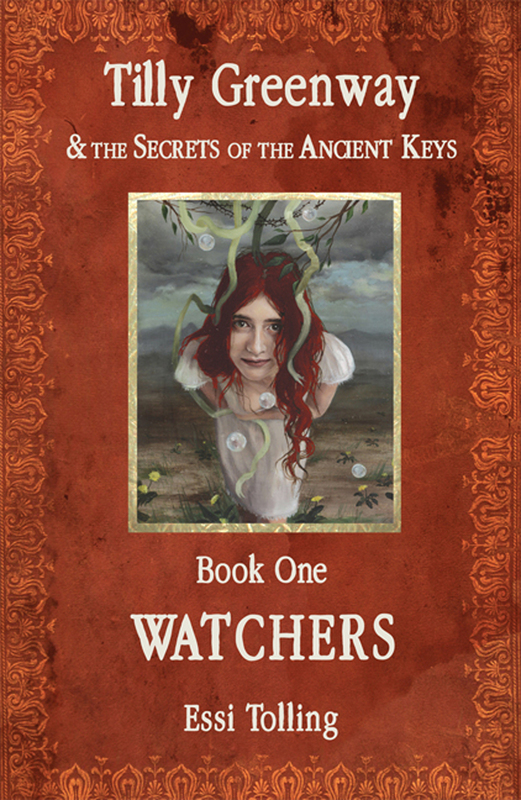 In “Watchers” this is where Tilly and Zack meet Ambrose, a mysterious figure who has been alive since the days when Alexandria was a place of great learning. This is another example of mixing fact and fiction. Ambrose is a figment of my imagination, but Alexandria was a real seat of learning for hundreds of years (many famous scholars studied there) until its libraries were razed to the ground in the 5th Century AD. At that time Alexandria housed the one of greatest libraries in the world, more than half a million scrolls that went up in flames whilst the mob (who had been whipped up into an anti-pagan frenzy by Christian zealots) murdered any teachers they could find. One of those killed was the university’s female librarian, Hypatia. She was also its head-lecturer in both philosophy and astronomy, which goes to show that there was equality between the sexes in the Alexandrine culture. Hoping for mercy, Hypatia sought refuge inside a church, but was shown none. Ambrose is the most senior member of The Guardians. His name is based on the merging of Amber and Rose (you’ll find out why in the story) and bears echoes of Ambrosius, a historical character said to be alive at the time of King Arthur. The real-life Ambrosius was something of a Merlin-figure and may well have been one of the Romans who became a druid. My Ambrose has elements of druid about him too, his main aim being to listen to the teachings of nature and pass on his understanding. 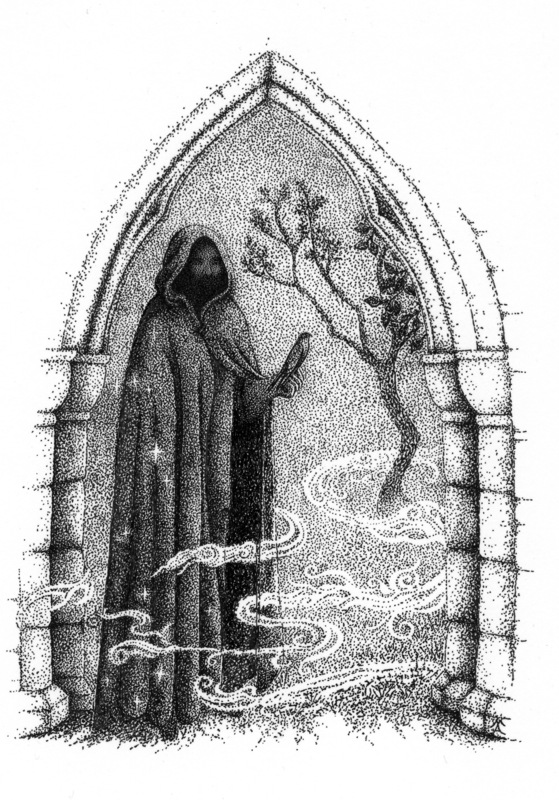 His connection with the Arthurian Merlin is cemented by the fact that he is accompanied by a falcon called Mirlyn. There is a real bird of prey called a Merlin, but the main reason for Ambrose’s “familiar” or totem being one of these small birds of prey is that hawks and falcons are symbols of guardianship in the Old Lore. Tilly and Zack have their own totems too, but we don’t come across them until the second book, except for Tilly’s association with the Lark – which we can explore another time. 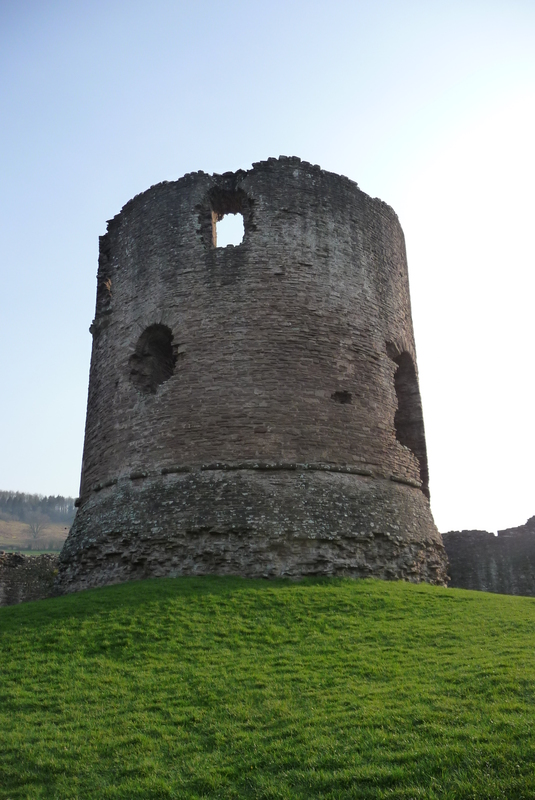 Skenfrith Castle is one of the Trilateral castles – Grosmont and White Castle are the others – which is another layer of richness for me, because of the 3-fold ray of the druid’s Awen. Here Ambrose has his “dream chamber” where he lies looking up at the stars, dreaming “deep dreams of yesterday, tomorrow and today”. Calling himself “The Bearer of the Blue Light” and “First of the Twelve” he has an important role to play in the story. 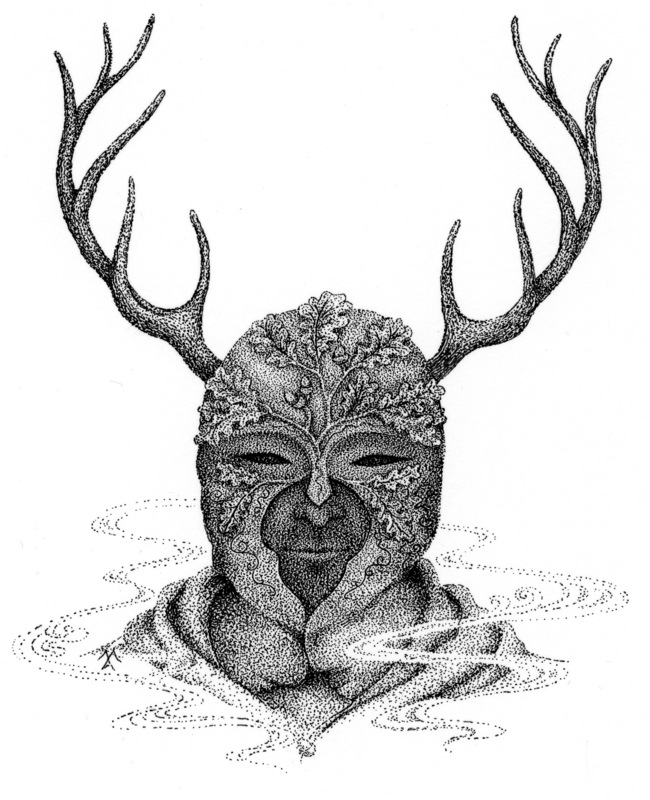 Here he is, standing in the archway to the castle in Meraylah Allwood’s wonderful illustration. Of course, we’ve embellished details. The archway is much as it might have been, rather than as it is now. That’s the fun of mixing fact and fiction. As in the story, there is a river that runs right through the village until it passes beneath an old stone bridge at the feet of a pub. It is along this river that Tilly, Zack and Ambrose make their mist-shrouded escape (I won’t tell you from what or whom!) and head up into the Welsh mountains. Things change. 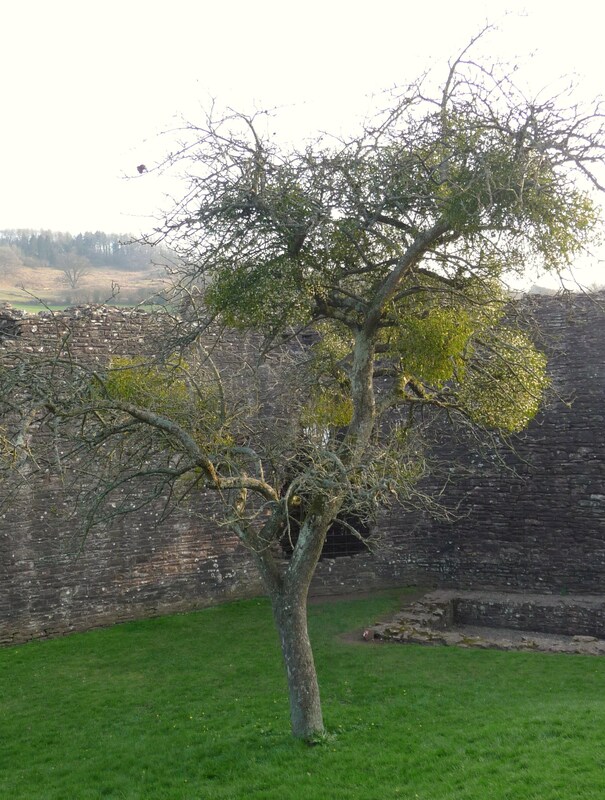 When I last visited Skenfrith there were six gnarled apple trees growing between the outer wall and the keep, which is why there are six in the story (one of which you can see in Meraylah’s picture). 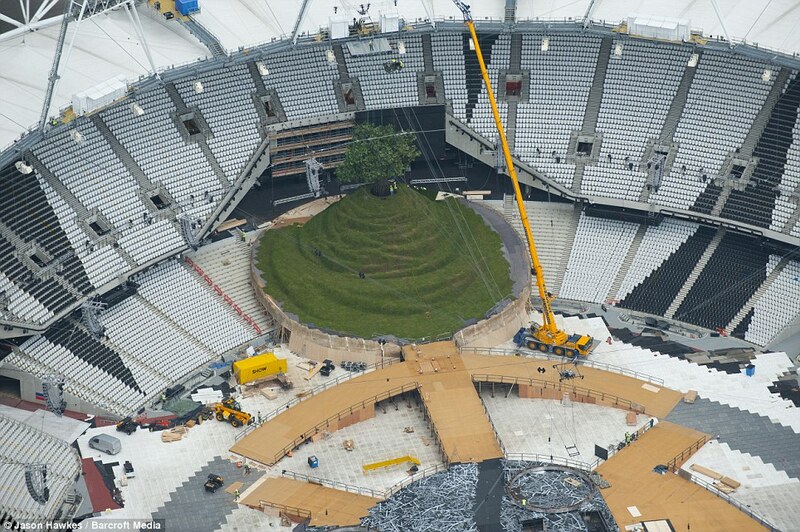 Most of those trees have been felled since then, but one still stands, hidden from view on the far side of the tower. Ah, but that’s a story for another post! PS – If you enjoyed this post, you might like to find out more about Tilly’s first adventure (including lots of reviews from readers) at any of these links. Thank you! Myth and Magic – Fact or Fiction? I’ve always been fascinated by the fact that so many myths and legends (and the lore within them) are similar in different countries. Take the story of the Deluge and the Flood. This tale is repeated in pretty much every continent. Huge rains are on the way. God tells one of the humans to build an ark, which he does. He and his family then escape the ensuing flood, whilst the rest of mankind is drowned. In the bible the human is Noah, in older texts he is Ziusudra: but the tale is almost identical. It seems unlikely that such a wide-spread story is just a myth. Far more likely that it records an actual event. The tale of Tilly Greenway and the Secrets of the Ancient Keys also begins with a flood-warning, but this flood is not a real one. It is part of an orchestrated plan by those in power to micro-chip the population. Is such a plan pure fantasy? Perhaps, but the possibility is there, which is why it kicks off our tale. Magic and myth are interwoven with the real world throughout the Tilly Greenway saga. Although many of the characters might have stepped from the pages of fantasy (such as Herne or the Dragons) the locations of the tale are all places you can find on a map. This was quite deliberate and, I hope, makes the books very different from other fantasies in which the reader travels through a wholly fictitious world. Having said that, the books are not allegory. Like Tolkien, I am not a fan of allegory. I prefer history – both real and imagined. In order to give the tale authenticity I’ve created a history of our race that goes back well beyond the Ice Age (as you’ll discover in later books). For this I’ve used a combination of sources, including some of the Celtic poems (many of which were written in a deliberately obscure way in order to avoid being edited) and the tales told on Sumerian tablets some seven thousand years ago. There are hundreds of thousands of these clay tablets, most of them yet to be translated. My guess is that, as with the Qumran scrolls, many will never see the light of day (not for public consumption anyway). An interesting fact is that the majority of them are/were buried in the sands of Iraq and Iran, so you can see how relevant to today our tale really is. But the main reason for mixing fact with fiction and magic with reality is that I believe magic is very much alive; that the world we live in is just as fantastical and full of wonder as any that I might create. 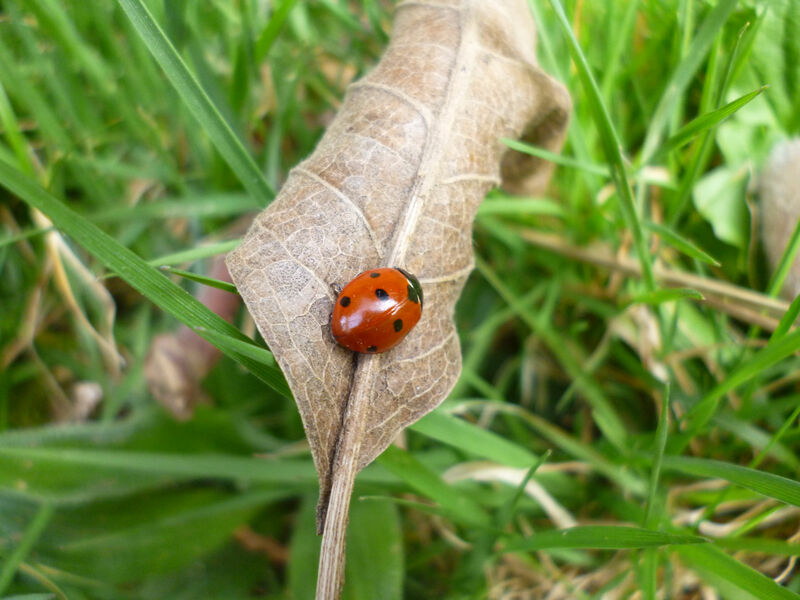 Getting out into nature (and way from the screens that encroach ever more closely on our lives!) is magic enough for me, which is why Tilly and Zack spend so much time “outdoors”. Take this photo that one of my daughters took over the Easter weekend. I love it! So much beauty. So much mystery. 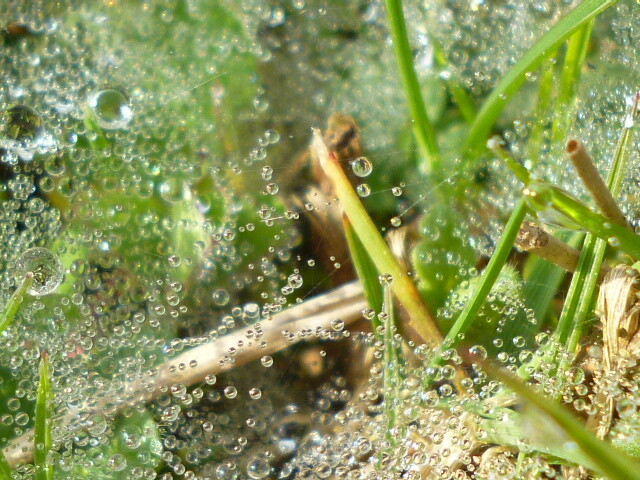 Who knows, perhaps each droplet of water is a universe of its own, with countless tiny lives being played out within it? I hoped too that some people might feel inspired to visit some of the locations that Tilly and Zack find themselves in during their quest. 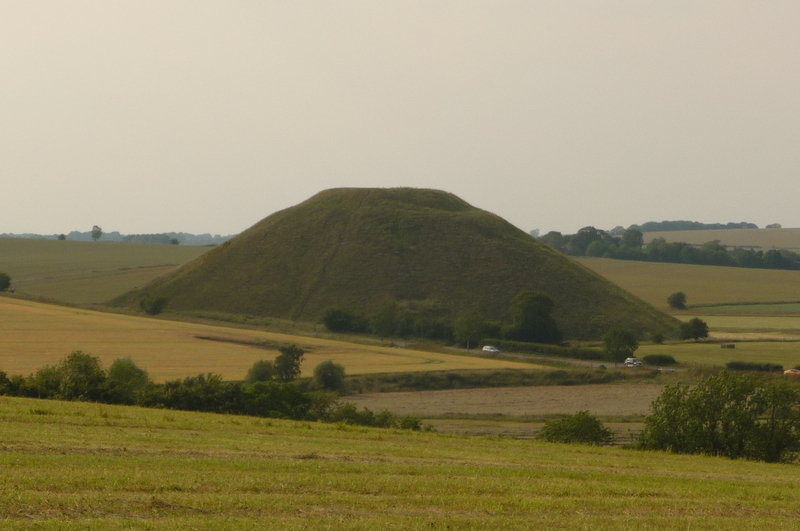 So you can imagine how pleased I was to hear recently from a reader who had taken his sons to see Silbury Hill and the Avebury Stones after they had read Watchers. 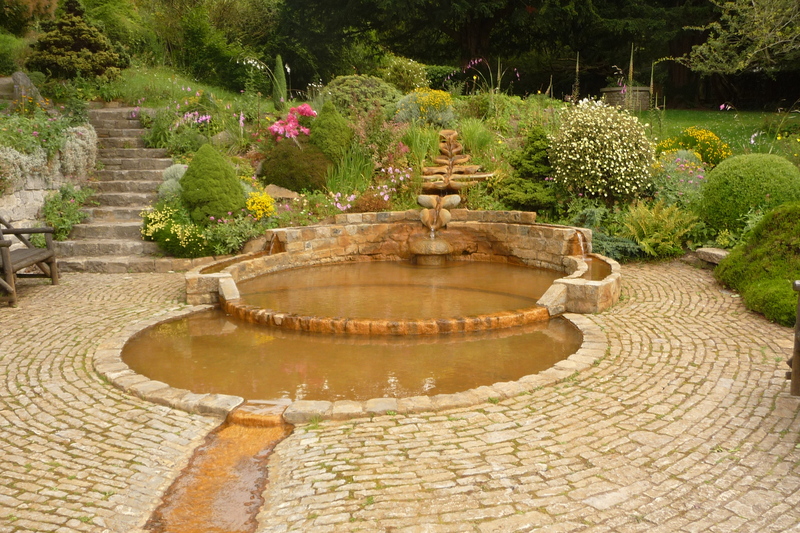 Another wrote to me to say that she had climbed Glastonbury Tor and visited the Chalice Well Gardens because she had had enjoyed Tilly’s adventures so much. Wonderful! Why does visiting such places make a difference? Well, for me, seeing them, smelling them, reaching out to touch them means that we re-connect with all they have to offer us, each one with its unique atmosphere, all of them with secrets that they whisper to us from across the long years. 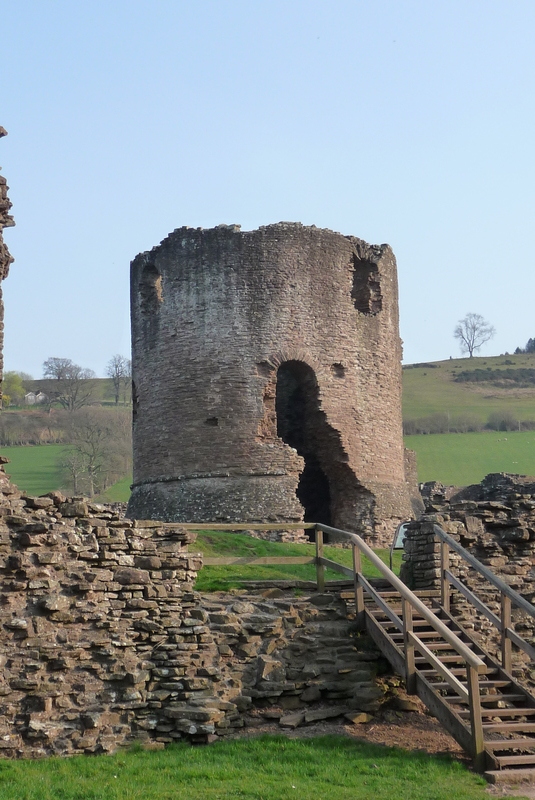 Next time, we’ll visit Skenfrith Castle, another of the real-life locations in our tale! 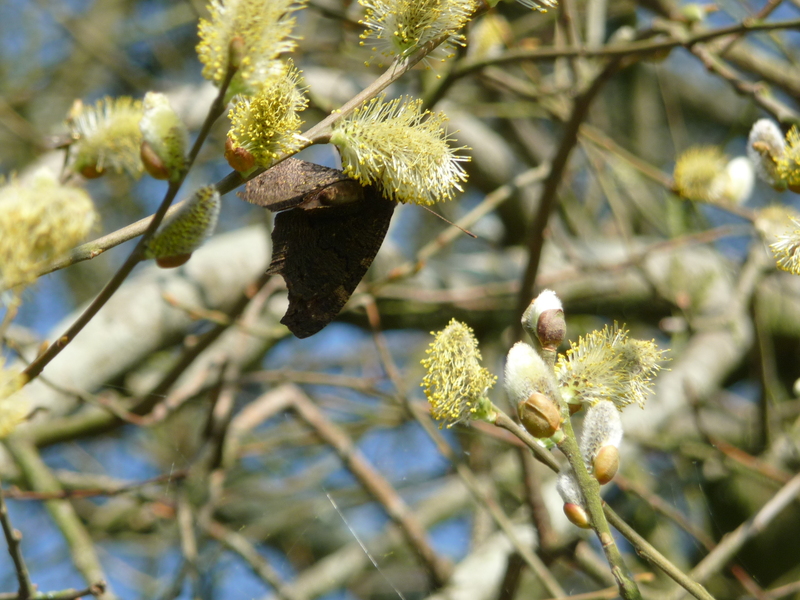 We’re in the middle of the Celtic Willow-Month and soon I’ll be writing a post about Willow Tree Magic, but ahead of that here’s a teaser for you: can you tell me what is feeding on the pollen of this Goat Willow? The first person to give me the correct answer will receive a free signed copy of Watchers, Book One of the Tilly Greenway and the Secrets of the Ancient Keys series. You can let me know via Facebook, or via the comments section here. Get your answers in soon and your prize should reach you in time for Easter. Good luck!